Dec 2013 - As the year draws to a close we want to pause for a moment and reflect on something truly special. Orangutan Outreach was formed in 2007 and our first partnership was with the Borneo Orangutan Survival Foundation (BOS). We really got started by helping BOS promote the Animal Planet series Orangutan Island in the US market. This wonderful show ran for two seasons and we had the great pleasure of befriending many of the people involved behind the scenes-- including the on-the-ground producers at NHNZ in New Zealand and the marketing team at Discovery Communications in New York. For two years we were fortunate to get regular visibility in the media and were able to use that exposure to raise funds for BOS Nyaru Menteng, the largest orangutan rescue and care facility in the world. 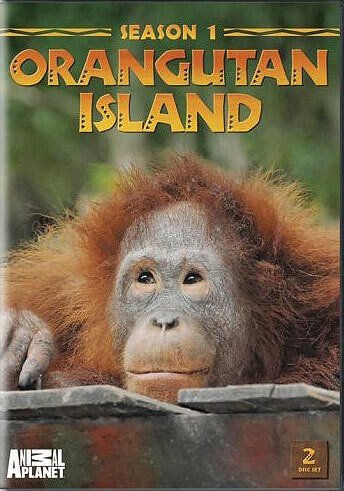 Orangutan Island was the first television show of its kind-- following the lives of a group of orphaned orangutans who were living on pre-release islands in the Rungan River, not too far from the Nyaru Menteng care center in Central Kalimantan (Indonesian Borneo). Week after week, viewers were treated to drama, intrigue, joy and sadness as this group of young orangutans began to discover just what it meant to be orangutans. There's a new sheriff in town: Daisy! The main 'stars' on the show were living on an island called Palas. There was one particular group of tough guys called the Bandit Boys. 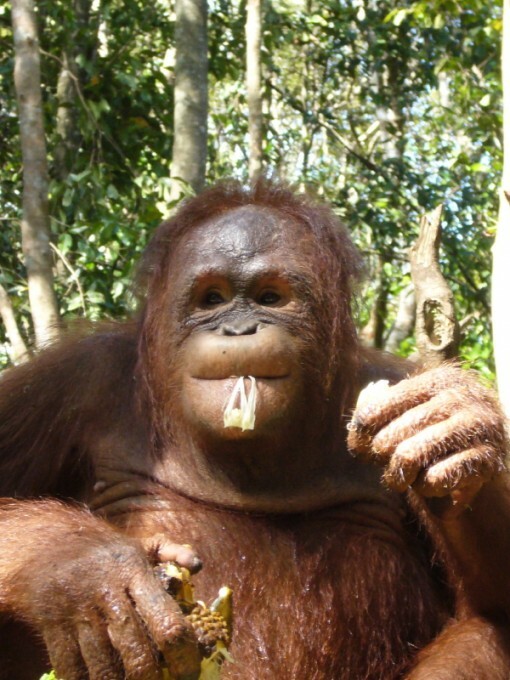 They were always creating havoc and stirring up trouble-- fighting, hoarding food, you name it... Keeping an eye on them from high up in the trees was one of the most amazing female orangutans to ever hit the flatscreen: Daisy, or Sheriff Daisy as she was called because she kept order in the town. If anyone ever played too rough, Daisy stepped in. If someone was misbehaving or snatching all the fruit, all Daisy had to do was raise her head and all would be well in the world... Daisy was the ultimate mama figure for this rowdy band of orphans... dishing out tough love when necessary, but always keeping her cool. Just because the show went off the air didn't mean the orangutans left the island. They stayed right where they were... and continued their rehabilitation and socialization. There were unfortunately some deaths on the island, but there were also several lovely babies to balance out the population. The cycle of life was complete. 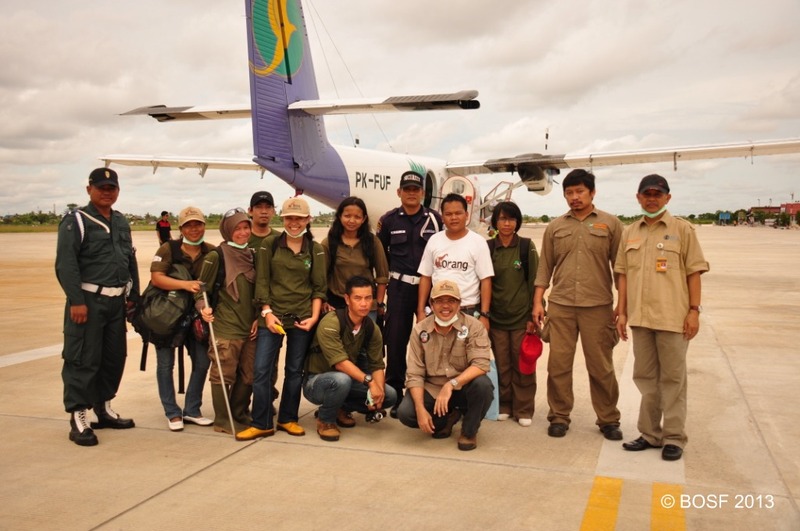 In 2012 the team at BOS Nyaru Menteng began the most auspicious orangutan release program ever attempted. 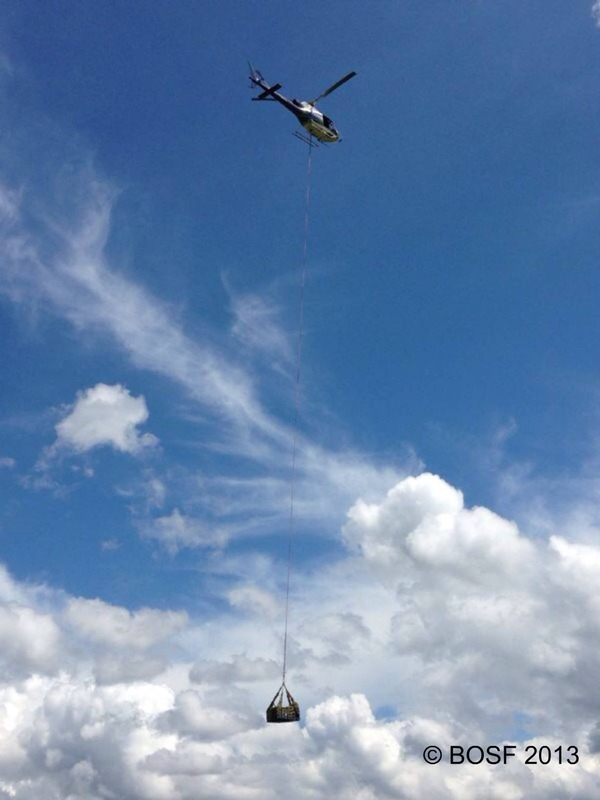 That summer, they began releasing rehabilitated orangutans back into a safe, secure forest in the Heart of Borneo. Learn more about the releases here. 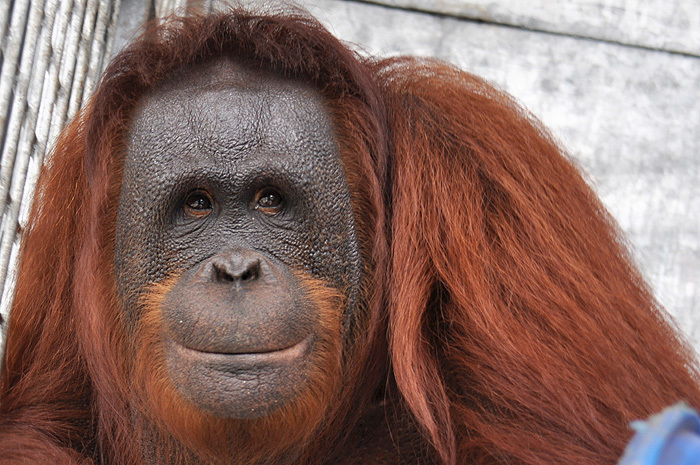 With nearly 600 orangutans being cared for at the center, there was a bottleneck for releasing orangutans. That bottleneck remains-- and new babies still keep coming-- but over the course of the past year, the BOS team has released more than 100 rehabilitated orangutans into the forest! 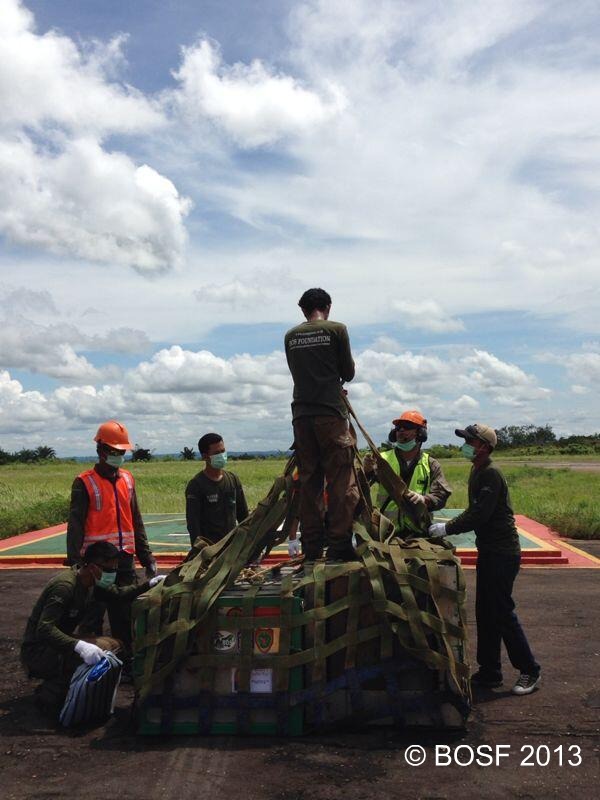 As the releases continued, the time soon came for the orangutans from Orangutan Island to get ready to go! Finally, in November 2013 we got the green light. 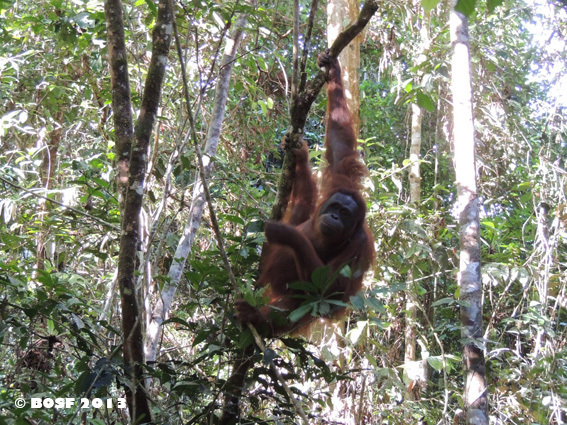 When the new list of orangutans to be released was compiled we recognized a familiar friend: Daisy was going back to the forest. She and a dozen companions would be Home for the Holidays! Below are some photos of the journey.... Enjoy! Sheriff Daisy-- Home for the Holidays... Living free in the forest! 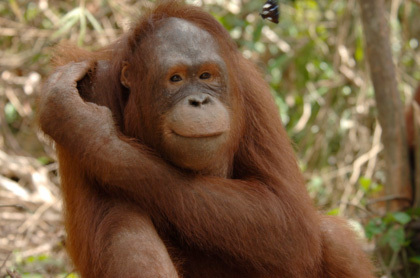 The orangutans need YOU! Your donation, large or small, can make a HUGE difference! YOU can help send the orangutans back home. 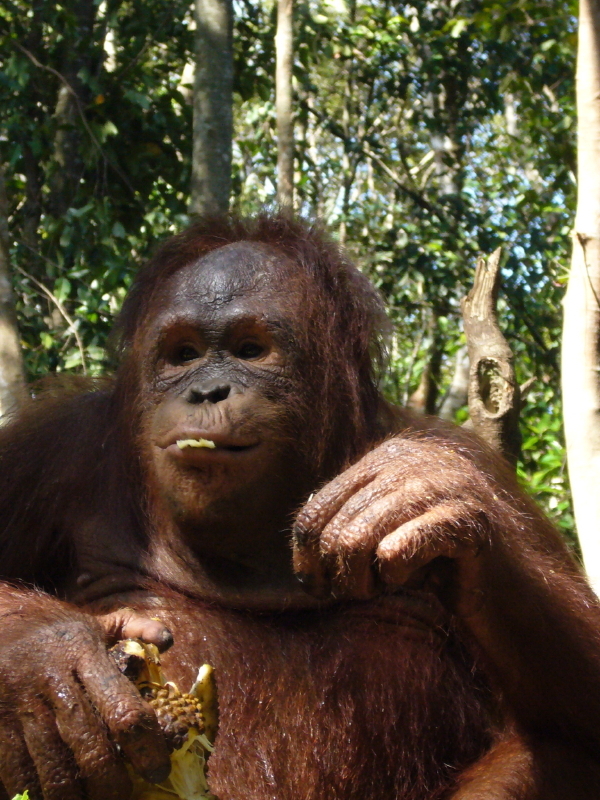 Please make a contribution to our BOS Nyaru Menteng Orangutan Release Fund. 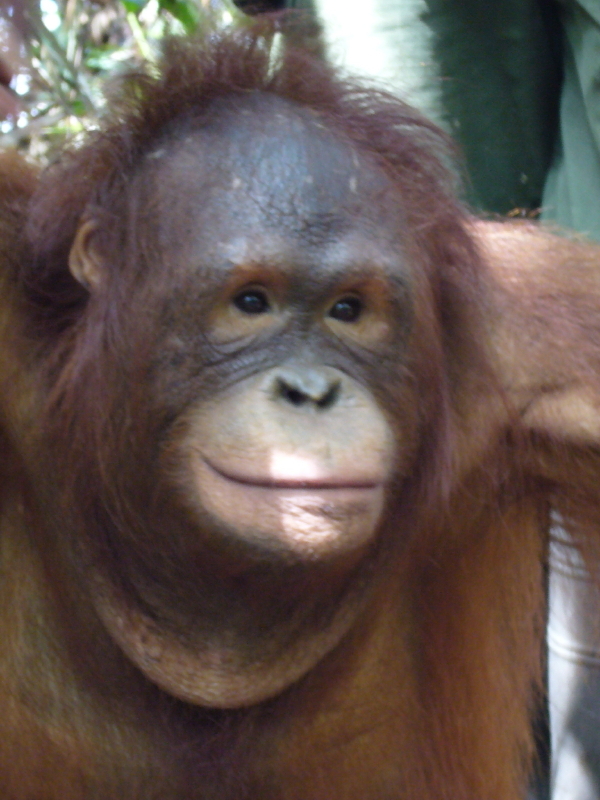 Sheriff Daisy on ‘Orangutan Island’. Daisy takes a glam photo before preparing for release day! Daisy in her transport crate getting loaded on the truck. 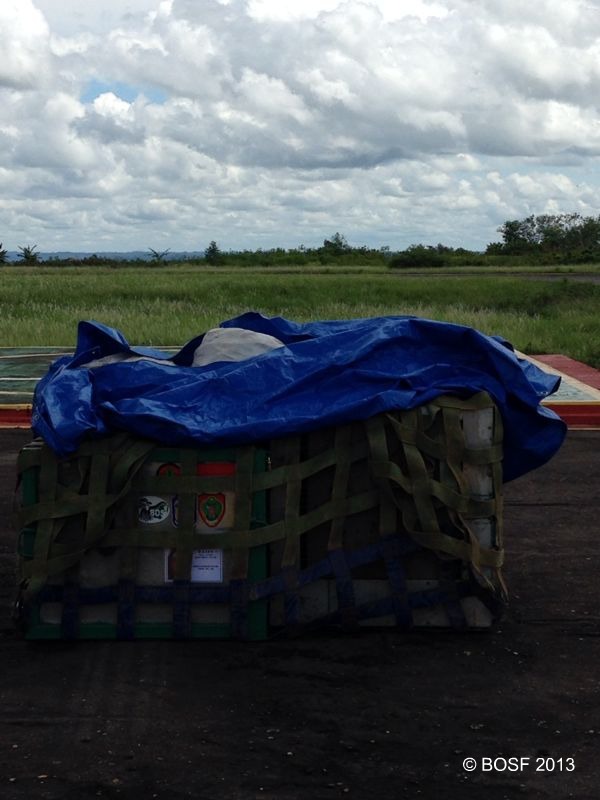 Daisy in her transport crate getting loaded on the aircraft. Daisy in her transport crate covered to protect her from the heat. Daisy in her transport crate on the tarmac. Daisy in her transport crate up in the air! 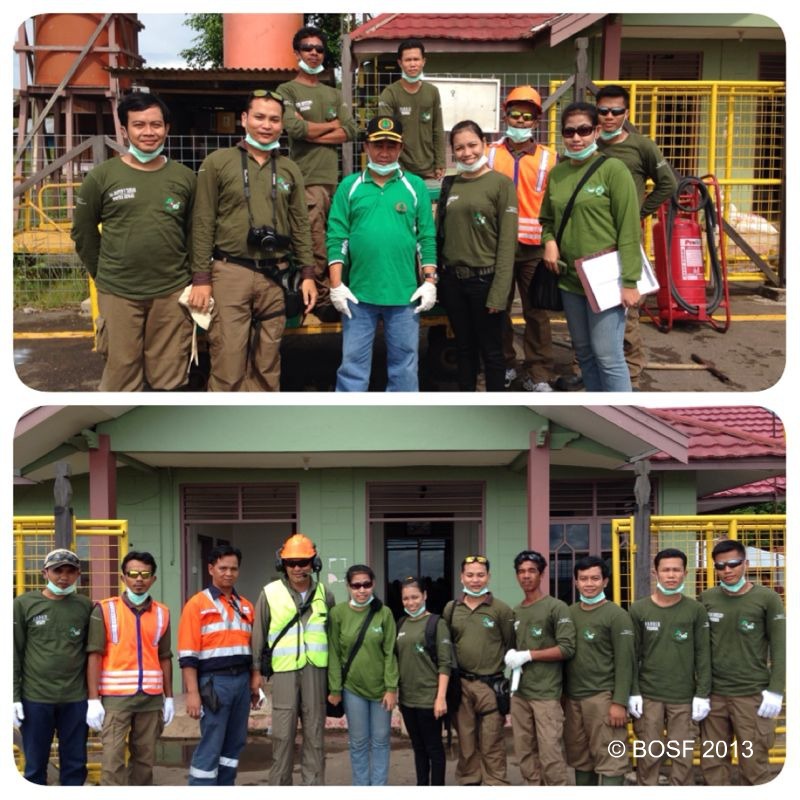 BOS Nyaru Menteng Orangutan Release Team! Great job, everyone! BOS Release Team, Great job, everyone!